Note the customer-made scoops in the rear to channel air (we think) to the brakes. Also, an unusual wing on a street tail. Molded-in fender vents, a carbon interior and many subtle touches make for a great-looking car. 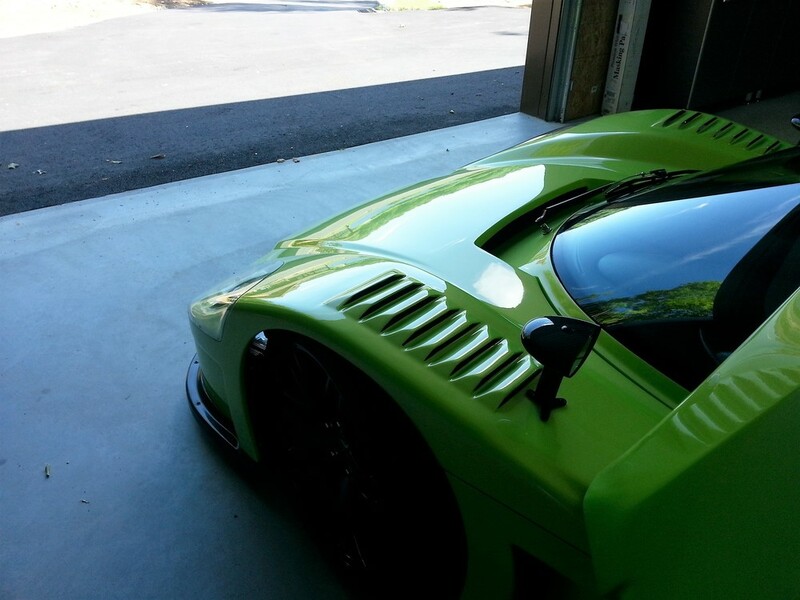 The green is an interesting choice- it looks like Lamborghini Ithaca Verde. 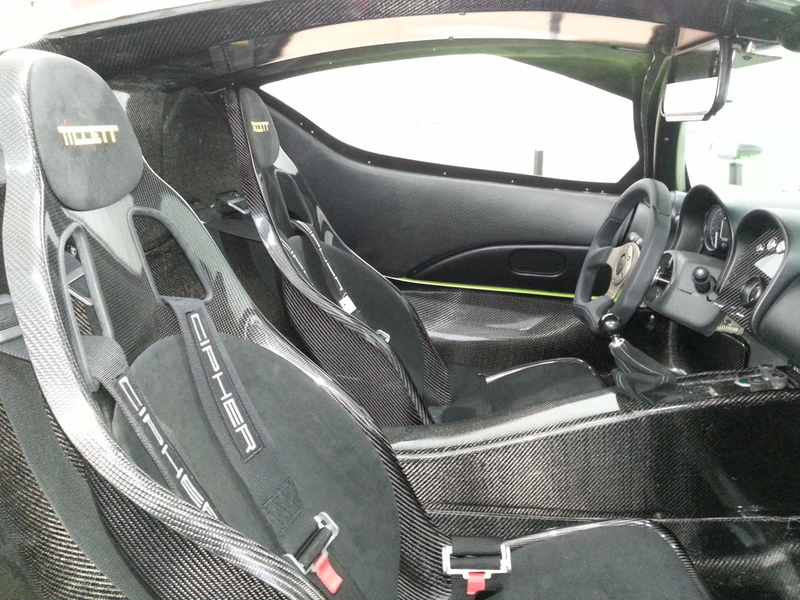 Another car built by Allan U, a professional SLC builder.